Seibertron.com Energon Pub Forums • The Pretenders - Robots in Synthoplasmic Outer-Shell Disguise! The Pretenders - Robots in Synthoplasmic Outer-Shell Disguise! Back in 1988, I wasn't buying Transformers anymore. The comics, yes, but the toys? Nope...unfortunately. I've always thought Octopunch was cool. The name, the Octo-Thing/Cthulhu look when I first heard about him. I can't say enough how charming the figure is in it's simplicity -- and you get two figures for the price of one (and it's a 'Con!). But seriously what planet did Octopunch crash to get this orga-sleeve? He's got a metal band-aid on his head and his face looks like Evil Horde reject. I do dig the fact that his belt is painted on though! One less thing to track down. Fortunately for me on the second purchase, he came with his belt accessory -- but no weapons. Finback was second to Skullgrin on my Want List, but the price was right. And then I saw the next best thing - Ultra Pretenders! I don't own one yet, but I'm sure some of you do!! Last edited by bodrock on Mon May 15, 2017 5:38 pm, edited 1 time in total. Re: The Pretenders - PICS PLZ: Robots in Synthoplasmic Outer-Shell Disguise! A little warning about Ultra Pretenders: both members are sufferers of Gold Plastic Syndrome, in other words, all gold plastic components are very VERY VERY brittle and will break at the slightest touch. JelZe: I think I saw my first (IRL) at this vintage toy store in downtown Portland, OR, about a year ago! Unfortunately, they guy is charging on the ridiculous-end of the spectrum, and lacking the accessories to boot. I don't believe he has any of the Ultra Pretenders though, but these two look cool! I am a 'Con loyalist, truth be told, and their shells appeal to me just a little bit more....Crossblades is pretty cool-looking! He has a LOT of accessories, however, guaranteeing that he may be expensive if you want him complete! Overcracker: thank you for the link! I'll check 'em out, but if you have a collection of Pretenders to share, please do!! BURN: my man, that is a sweet shelf of shells & the bots who pretend to be them! I would love to hunt them all down, but I may need to prioritize....how did you go about getting them for your collection? Slow & steady, or did you grow up with 'em? Octopunch was at #1, and Finback #3. Unfortunately I have no Pretenders at this point. Only one I ever had was Catilla (who sat in as Battle Cat among my Masters of the Universe guys), but lost him in one of the moves, and have never really tried to get any other Pretenders. bodrock wrote: how did you go about getting them for your collection? Slow & steady, or did you grow up with 'em? Grew up with one ... Landmine. I always wanted at least ONE of each gimmick and my parents seemed to support that. Except Megatron. Apparently I had too many toy guns and not enough tanks with a base and rocket. As for the rest, slow and steady over the last decade and a half. I just keep an eye out on E-Bay. bodrock approached me about Pretenders and I encouraged him to start this thread for us Pretenders fans. Hopefully it draws out a few more fans who may be hiding in the shadows. Think of it also a pseudo-sightings thread, if people come across a Pretender they think someone may be interested in, post it here. 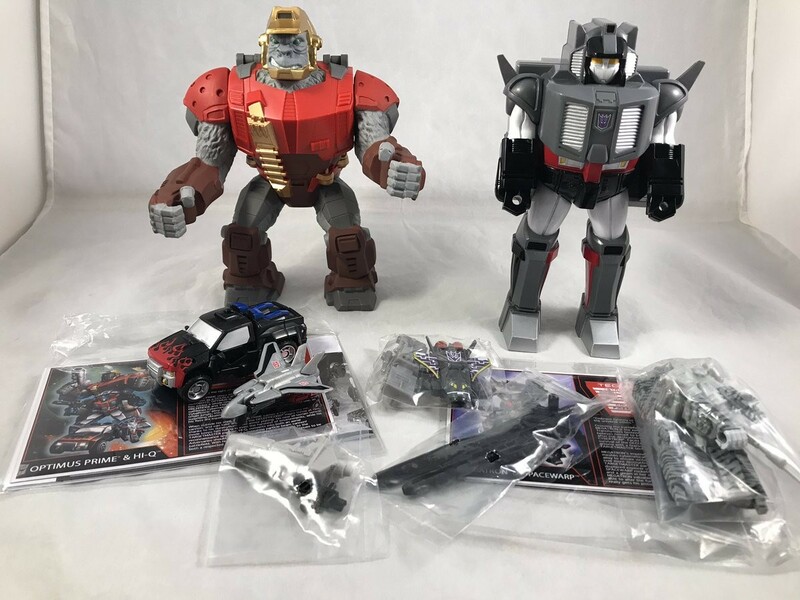 Those TFSS Double Pretenders looks sweet, Overcracker -- $120 is a bit more than I'd like to spend, but that Munky Optimus shell looks amazing. Thank you Burn! We are definitely hoping more Pretender fans join in and share their collection/stories, so all can enjoy. Thunderwing looks like a true Japanese Oni! Silly question, bodrock, but do you like Pretenders because of the gimmick, or do the characters play a role as well? I know Bludgeon and Thunderwing are the two most famous ones (so much they have a certain pricing effect named after them) because of how they were portrayed in the Marvel comics, any favorite ones from those? bodrock wrote: Thunderwing looks like a true Japanese Oni! And yet Japan wouldn't get a Thunderwing figure until 2012. That's the real dilemma, isn't it Burn? Go piecemeal or whole hog on a character....I gotta do it bit-by-bot! That's the best way to maximize the savings and prolong the hunt! But if I do get Roadblock (I will! ), it will be the whole thing -- unless I can get his mini-bot self for cheap. I can imagine it was harder to get a complete Scorponok, since everyone wants him! I know I still do. Hey JelZe, good question -- it was the Marvel comics that got me to like Skullgrin, Iguanus & Bludgeon, but I also enjoy the wacky designs of the shells. The Ultra Pretenders are even better since the humanoid shell at least transforms...no more complex than the mini-bot themselves, but still! It's a fun concept, in retrospect. I like that incarnation of Thunderwing too, Emerje! It's hard to fathom why Takara release certain things over in Japan but not over here, and vice versa. But I sure wish we always got the Takara Legends repaints. Black Shadow looked cool for a remold of Pretender Thunderwing -- but I really like his TR incarnation as well! bodrock wrote: That's the real dilemma, isn't it Burn? Go piecemeal or whole hog on a character....I gotta do it bit-by-bot! That's the best way to maximize the savings and prolong the hunt! But if I do get Roadblock (I will! ), it will be the whole thing -- unless I can get his mini-bot self for cheap. I'll tell you now, if you're going to go bit-by-bot, pick and choose the bots you do it for. Some have very rare parts that go for ridiculous amounts. 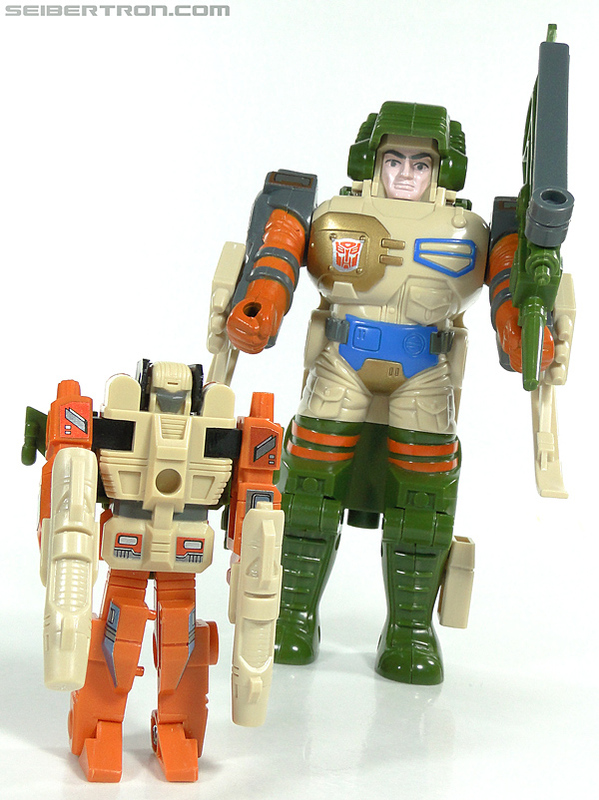 The only thing I'm missing from Scorponok is a small handgun for Fasttrack. The last time I checked (a few years ago) it was around the $40US mark for a piece of plastic around an inch long. Have a look for Thunderwing on E-Bay and you'll see how much some of his individual parts go for. Trust me though, I know the thrill of hunting for parts to reassemble a figure, I had a lot of fun with that when I first got back into collecting but some figures it's just more economical to get them complete. 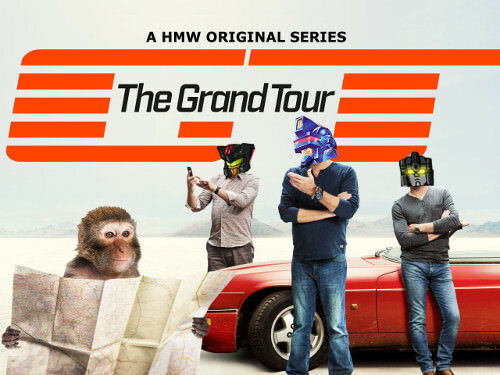 And hey guys, be honest -- do I need to watch Super-God Masterforce? Does it give our Pretenders some added depth? Are they even characterized the same way in this Japanese-exclusive anime? Maybe I do need to know! The aftermarket prices are ridiculous, Burn!! This is cheaper than 40 -- but I'd say that's still ridiculous. I almost made an offer of 40 total for both sets of Octopunch's crab legs. bodrock wrote: And hey guys, be honest -- do I need to watch Super-God Masterforce? Does it give our Pretenders some added depth? 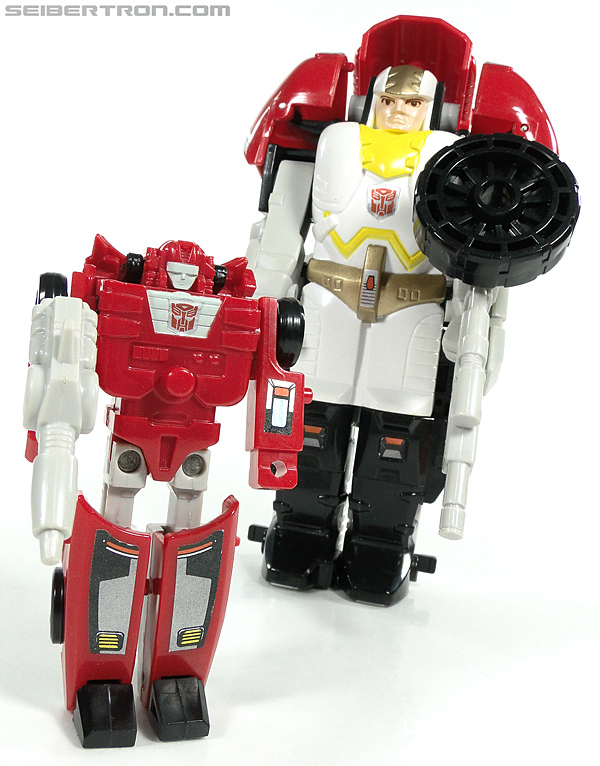 As far as we're concerned, the ones in the Masterforce and Victory animes are different characters, even if they use the same basic US toys. bodrock wrote: The aftermarket prices are ridiculous, Burn!! Factor in the postage to Australia and it's $45US. Convert that ... I'm looking at $60AU+ for that tiny piece of plastic. It's pretty much why I've stagnated in completing my Pretenders. Ouch! Glad I never lost my Fasttrack's guns (even if one is a little rust stained). Thank you for the skinny on the Super-God Masterforce, JelZe! I figured the characterizations might be different, but I was hoping they'd at least incorporate the rest of the Pretender family. I forgot about the Strayan exchange rates, Burn! I will keep an eye out for you though - how high are you willing to go? The most I'll go for any weapon is $10 including S&H. But I'd prefer $5. It's a one inch piece of plastic, I'm not paying more than $20 with postage. Your piece is especially rare so that's probably realistic! Finback arrived yesterday, and his small gun is on the way! I'm still seeking Finback's harpoon gun, but he's almost complete. You know I want them crab legs.